100 meters just before the MRT ? Thailand Cultural Centre station ? The entrance will be next to the ? Stock Exchange of Thailand ? that will blind the entrance by its car , so switch to lane two on the left and go left next to it to enter AIA CAPITAL CENTER building immediately. 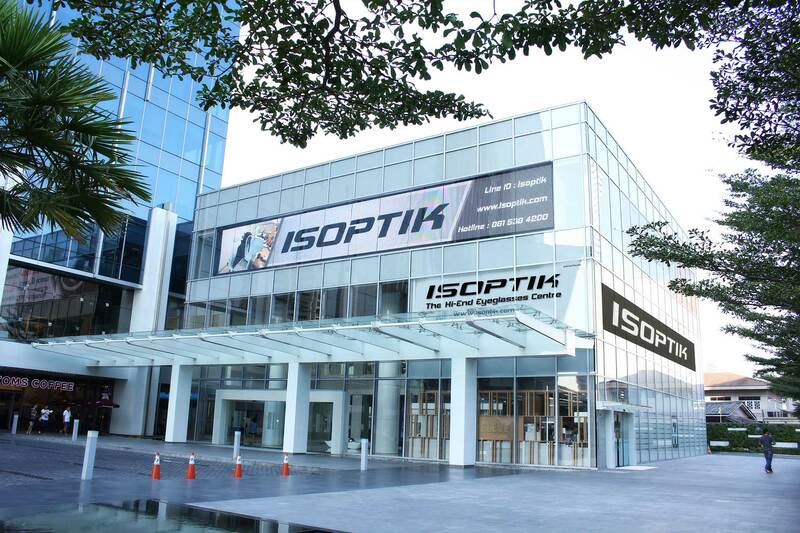 Enter a building?s parking lot by using number 1 entrance and inform the officer for the wheel chair requested and the desire to go to ISOPTIK , The Hi-End Eyeglasses Centre.